With the holidays upon us, to say consumers will receive an excessive amount of emails is an understatement. Between Thanksgiving and Christmas our inboxes are going to be blasted with countless offers, blog content and more. The million dollar question is: to open or not to open such email and ignore it? You will have to add this question to your marketing strategy. Not a tough one, but at times rather annoying. Why? Because, the average consumer receives 88 emails per day (Source: textrequest.com), Just look at your inbox and take inventory. 1. Keep it short: There is very little need to elaborate here, do not use long sentences. Use 50 characters or less. Keep in mind those using a mobile device to view their emails. 2. Segment your list: This is about getting the right content/offer to the right audience. Only send relevant content to your audience to prevent frustration. For instance, if you are a brick and mortar business, don’t send your offer to out of towners. Geo segmentation is a way to target your list, but you could also do so by: age, persona, past purchases, browsing history and so much more. Be sure to translate this into your subject line. 3. Don’t deliver the goods: Don’t tell them what’s inside. Remember, you want them to open the email and interact with your content. If you are sending a coupon code, say: “Your coupon code inside”, or “Your offer awaits”. 4. The right content at the right time: This may not be related to subject lines but hear us out. When you hit that send button, the deployment time could make or break the chance of your email getting opened. For example, I have a full time job, a wife, and three kids. I look forward to offers via email. However, I don’t have time to go through them until the kids are in bed. So, if companies targeting my ‘persona’ deliver their email to me during the night hours, they have a guarantee open from me. 5. Don’t scream at them: For the love of your customers, DO NOT SCREAM at them. By screaming we mean leave all caps alone. Enough said. 6. Ask questions: I personally love this method. When you ask a question, people like to engage and find the answer. It’s like reverse psychology. As an example, questions like: “Can you afford ____?”, “Have you looked into ____?”, “Did you see what I sent you Yesterday?” These are all good examples of subject lines that may peak your recipients interest. 7. Test, test, and test: Subject lines are like going “all in” without any guarantees, therefore, test your subject lines. Keep a journal to record what you’ve used in the past and make comparisons. Track every move you make and use the data to make smarter decisions going forward. If you need more email marketing expertise we would be happy to help! Call nSightful 866-249-1977 and get your show on the road. As technology changes at a fast pace so does the vocabulary used to describe it. One marketing buzzword that comes to mind as of recently is “omnichannel” marketing. What exactly is omnichannel marketing, and how is it different from multichannel marketing? Omnichannel marketing refers to a business delivering a constant branded message across all digital channels and the devices a customer uses to engage. As an example: Suppose you are browsing the website of a handbag store on your mobile device. You find a bag you like, place it in your online cart, get distracted and don’t finish the purchase. How is omnichannel marketing different from multi-channel marketing? Multichannel marketing is a tactical approach (source: dataorama.com) that combines various forms and outlets to advertise. Examples: postcard, email campaign, tv/radio, telemarketing, and social media/blog sites. Omnichannel marketing is strategic. Measuring success from a multichannel marketing campaign can be challenging if the proper steps are not put in place. Omnichannel marketing is a little more streamlined in that aspect. Regardless, both omnicahnnel marketing and multichannel marketing are effective in their own way. If you aren’t doing one or the other in your business you need to be. The average office worker gets 121 emails per day. How can we keep our contacts from unsubscribing? That is a question many marketers face each day. Below are 5 reasons folks may be unsubscribing from your emails. Many times an email can view correctly in your inbox but may look different in others. In addition, over 50% of emails are opened on a mobile device. The key is to make sure your email renders correctly for everyone, you can achieve this utilizing tools such as Litmus or Inbox Inspector. 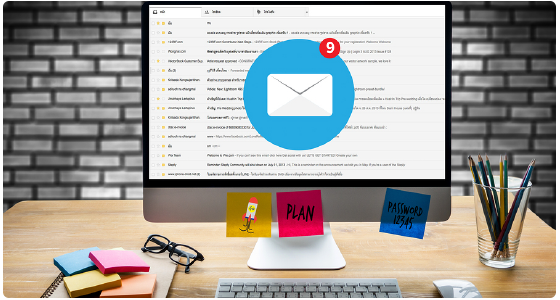 These online tools allow you to see what your email will look like across a variety of different platforms and email clients. If changes are needed, you or your designer can recode accordingly and you can sleep better at night knowing your email looked amazing in everyone’s inbox. Make sure your email looks professional. You don’t want to be classified as spam or your recipient’s may unsubscribe. Stay away from image heavy emails that may take time to load. A good rule of thumb for email design is 30% image and 70% text. If your email looks too funky it may send the message that you don’t care about your brand or your business. If you are not utilizing customized templates you may need to reach out to a graphic designer to make sure your message is visually appealing, clean, and is in the correct formatting. Over advertising your product or service can cause people to unsubscribe. There is a general rule of thumb to go by called the “80/20 rule”. 80% of your emails should be educational based pertaining to your industry; this includes whitepapers, webinars and helpful tips. Educating your customers/prospects can make you stand out as a leader and you will gain the trust of those needing your services when the time comes. Research findings have discovered the number one reason why people decide to unsubscribe was because they simply receive too many emails. A nice way to save a subscriber would be to give them an email frequency option in their profile. In addition, autopilothq.com did a study on 327 companies proving that sending email communications every 2-4 weeks generates 2X the leads. There is nothing worse than being bombarded with information that doesn’t pertain to you. Understanding your customer/prospects needs is an important part of marketing effectively. A Persona describes who your customers are, what their goals are, and their behavior throughout the buying process. Personas find a human connection in heaps of analytical data. By taking time to understand your customers/prospects, you can effectively tailor your email messaging to their needs and giving you a competitive edge in the marketplace. You may know that CAS is one of the industry leaders in the data world, but did you know that CAS is also one of the only companies in our industry to be ISO 9001 certified? But what does being ISO 9001 certified mean? ISO 9001 is a worldwide standard administered by the International Organization for Standardization (ISO), based in Switzerland. 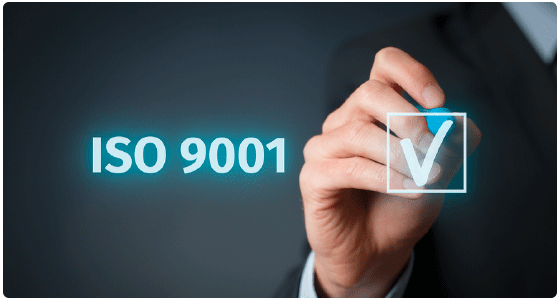 ISO 9001 is currently in use by over one million organizations and companies all over the world. ISO certification is based on quality management principles, which are continually audited and monitored to maintain the high level of excellence our customers come to expect from CAS. These principles help CAS to continuously improve our organization and performance. At CAS, quality is our number one priority. Being an ISO 9001 certified company for over 18 years; CAS is required to maintain a high level of quality assurance in design, development, production and servicing. As a customer, working with a company that is ISO 9001 certified ensures that you receive consistent, high quality data and services. When given the choice in where to purchase your data, wouldn’t you want to work with an industry leader that holds itself to a higher level of quality standards? The real difference between “good” and “bad” data is QUALITY. Being an ISO 9001 certified company since 1998 shows CAS’ dedication to continued organizational improvement and excellence in quality. Read more about CAS’ ISO 9001 certification here or give us a call 866-461-4693. Digital Marketing, we all hear about it, but what is it? Digital marketing is a term used to describe the marketing of products or services using digital technology. 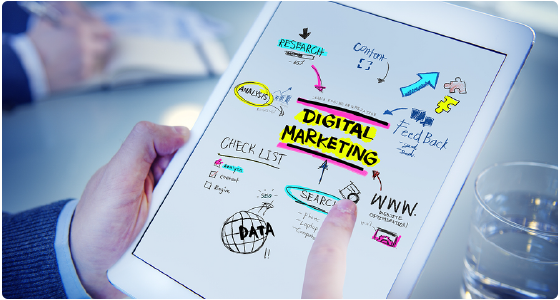 Some examples of digital marketing outlets would be email, PPC, mobile advertising, blogging, social media advertising, SEO and Whitepapers or any other digital medium. 2) 2016 marked the first time digital ad spending surpassed TV ad spending. According to eMarketer, TV ad spending totaled $71.29 billion, while digital ad spending exceeded to $72.09 billion and continues to thrive. 7) 66% of consumers have received an email marketing message that resulted in an online purchase. (Direct Marketing Association). 12) According to Sharethrough, native ads are viewed 53% more than banner ads. Not sure what native ads are? Click here to find out! Did you know that Email Marketing is 40 times more effective than Facebook or Twitter when it comes to gaining new customers? (Monetate). 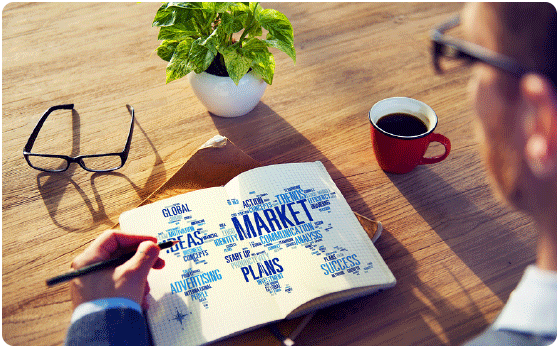 It’s important that you do it right to maximize your marketing efforts. With that being said, call to actions (CTA’s) can make all the difference when building effective email campaigns. Use buttons not text (or use both together) – according to campaignmonitor.com the use of a button attracts more of the customer’s attention and can increase conversion rates by 28%. 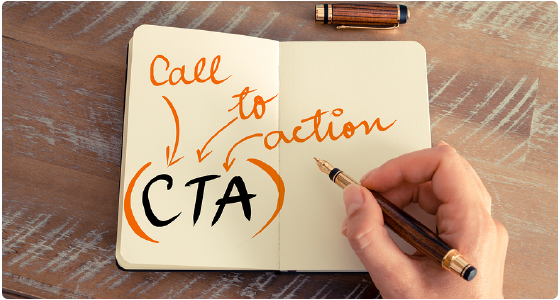 Make the Call to Action Short– Keep your CTA down to 5 words or less. Often times longer CTA’s is one of most damaging mistakes with email. Typically, you only have about 8 seconds to capture your reader’s attention. Make sure your CTA is short and sweet yet effective. 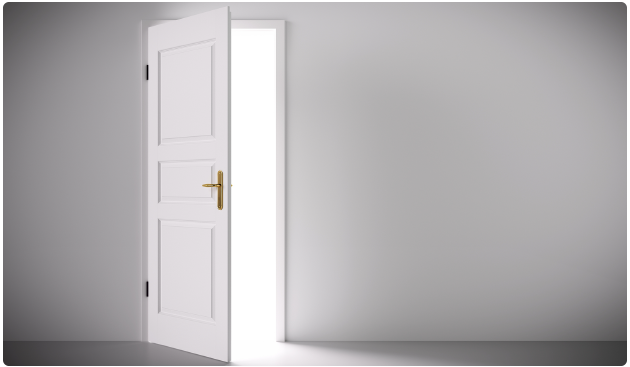 Have Only One Call to Action– Statistically; you will get better results if you limit yourself to just one call to action. Having too many can confuse the reader and you will lose their attention. If you cannot get away with having only one CTA be sure to give priority to the most important. Tell People What to Do – Many marketers may know this, for others, it might be an eye opener. You have their full attention now tell them EXACTLY what you want them to do. For example, “Shop Now”, “Look Inside” and “Buy Now”. For a list of more CTA phrases visit here. Make the Call to Action Stand Out – Use a color people will notice and place your button in a non-cluttered area. Although most marketers put their CTA above the fold, don’t be afraid to put it below your body copy based on how your message is told. There is an interesting tactic to see if a call to action pops enough. Blur your eyes and look away from the page, then look back quickly and see which element you notice first. This method may not work for everyone, but it may give you a guideline of how clear your CTA needs to be. There you have it, these are just a few of the many CTA ideas agencies use. Marketers all over are constantly looking for new and fresh ideas to make their messages stand out. If you are looking for CTA help on your next campaign CAS can help! Give us call today 866-461-4693 or visit us online. 1. Attendance– The first response from our industry peers was that the show felt like a ghost town. The exhibitors, attendees and the overall size of the show were down; it was different from years past. However, we realized right away the actual decision makers were the ones in attendance. No more padded conversations, you are talking with the person who needs your product and service. In this circumstance less is more. 2. Exhibitors- We noticed many new age software data compilation companies at the show. These new players can come in handy making the cloud a simpler place to store Big Data. 3. Theme- The main concept of the show was how data is captured and displayed to your marketing universe. The one stable concept we continue to see each year at the event is data. It doesn’t matter how fancy your system is to communicate with your audience. Marketers will always need the “offline” data to support and verify the new age of data compilation. It is simple. Data is king. The various amounts of demographics available allow marketers the opportunity to enhance, verify and multi-channel communicate to their marketing universe. This can provide a better understanding of who their prospect or customer is. CAS/nSightful was started on this same age concept over 35 years ago. The basics, longevity and quality are what keep CAS on the map. In the meantime, we’ll see you at the show next year! “Bounce” is supposed to be a fun word. It makes me think of being a kid again. Bouncing my basketball inside the house and driving my mother crazy. It may remind you of your kids bouncing off the walls, especially with the candy and sweets season in full swing! Unfortunately, in the email world, bounce isn’t a fun word at all. No client or customer wants to hear that their email “bounced”! This means that the email did not reach its intended destination for one reason or another. The definition of the word “bounce” as related to email, according to Wikipedia, is an email returned to its sender after failing to reach its destination. A bounced email is sent back to its origination as “Undeliverable” by the receiving ESP (Email Service Provider). An example of an ESP would be Gmail, Yahoo, or AOL. When the email is returned to you, it is coded/flagged as either a “Soft Bounce” or a “Hard Bounce”. Understanding the difference and how to manage each type of bounce is a vital part of being able to keep deliverability up. Keeping your IP and sending domain in a good standing reputation is crucial to the success of your campaigns. When an email is returned and flagged as a “Hard Bounce”, the email is permanently bounced back to the sender because the receiving email address is either invalid/expired or does not exist, and will not be able to be delivered. – Your message was too large (images or attachments). – Your message was considered spam. One of the most important things in email deliverability is making sure you are cleaning and updating your lists after each deployment of hard and soft bounces. Hard bounces should be cleansed immediately and not sent to again. From time to time, even if you have delivered to an email address in the past, it may eventually hard bounce as the email address is phased out or deleted. Most email deployment platforms have auto-cleansing rules that will help remove hard bounces automatically so you do not have to worry about re-deploying to them. Soft bounces are returned with a “Delivery Response Code” and/or a “Delivery Response Message” in the bounce log. This will give you a better idea on why the particular email “bounced” and you can update your database accordingly. In general, it is encouraged to re-send to soft bounced emails. Most email platforms are set-up to retry delivery on soft bounces up to a set amount of times until it is then considered a hard bounce and cleansed. Once you have tried to send to the soft bounced email three times, the best practice to suppress the record and not send to again. If you are having a hard time cleaning up your database CAS can help! 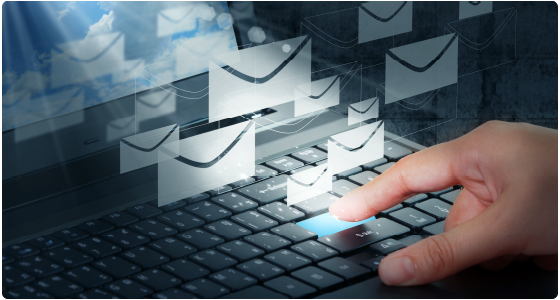 With our email verification and appending services we can make sure your campaigns go smoothly. Call us today 866-461-4693.